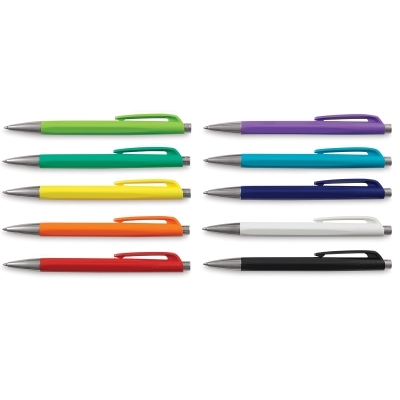 The hues of the Caran d'Ache Infinite Ballpoint Pen collection encompass a rainbow of colors. 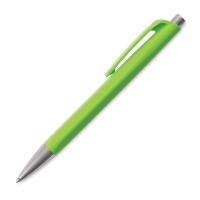 Created in the Geneva workshops of the Maison, the Infinity Ballpoint Pen enhances the writing experience. 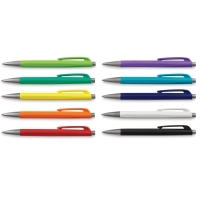 It is equipped with a SwissRide cartridge that delivers a smooth flow of ink. This unique ballpoint pen includes a handy clip. All pens contain blue ink. 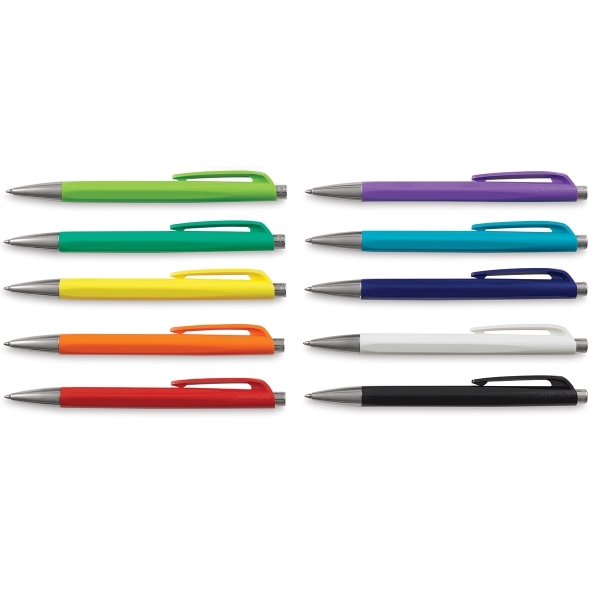 ® Caran d'Ache is a registered trademark.® Infinite is a registered trademark. ® SwissRide is a registered trademark.